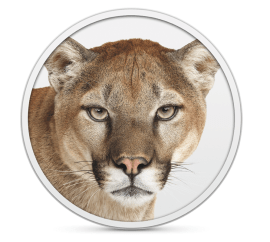 Mountain Lion: What’s New? Here’s the Breakdown! A few days ago Apple announced a new update for its operating system to be released this summer. This update, officially called Mac OS X version 10.8, will be nicknamed Mountain Lion. While this is not a major upgrade for users running Lion, Mountain Lion introduces some exciting new features geared towards unifying the desktop experience with the feel of the iPad and iPhone. In fact, many of the updates introduced will be familiar to iOS owners. One such update is the new Messages app, which brings iMessage to the Mac. Messages allows Mac users to send free messages to iPhone, iPad, iPod Touch or to other Mac users. An interesting feature of Messages is that it combines this new feature with iChat, allowing you to have an AIM conversation alongside an iMessage conversation with an iPhone user or even Facetime. Apple added new features to iCloud, including adding a document saving feature to the popular service. iCloud allows you to sync mail accounts, contacts, calendar events, Safari history, and preferences, making it easier to set up your computer by allowing you to enter your email address once and having it be used universally. Use an Apple ID for a number of applications, and not only are your apps synced to your iPhone from a backup in the cloud. Now your documents created in Pages automatically sync between devices, allowing a document to be viewed on a Mac, saved, then picked up later on an iOS device to be continued or printed. One of the coolest new features added in to Mountain Lion is the new Notification Center. This is another carry-over from the iPad, allowing every alert from applications to show up in the top righthand corner of the screen, then saved in an easy to access menubar. As soon as I had upgraded to Mountain Lion, I was greeted by an alert that I had a new software update, and when I clicked on the alert the Mac App Store opened up to download my update. This feature works with a number of native to mac applications, and I’m excited to see if developers can take advantage of this feature and incorporate it within their own apps. Those familiar to the popular notification service Growl will be familiar to the style of notifications used, but the sidebar to easily view previous notifications is unlike any notification service I have previously encountered. One gripe I have about this feature is that the only way to open the sidebar to view the notifications is to click on the icon for it in the menubar. Hopefully in the final release Apple will add a trackpad gesture to quickly open the sidebar like on the iPad. In Lion, Reminders were synced over iCloud from an iOS device to the Calendar app, where they could be viewed in a small sidebar separate from the rest of the app. Mountain Lion gives these Reminders their own standalone app. I use Reminders frequently on my iPhone with Siri, an it’s nice to be able to easily access these reminders and to be alerted through Notification Center when they are due. It’s really useful and cool to ask my phone to remind me something, then have that reminder waiting for me when I get home. The Notes app is a simple application for jotting down notes that you don’t want to open an entire word processor to enter in. You can add pictures and format text, and the notes automatically sync to iCloud for easy access to them on the go. It’s perfect for creating a shopping list that can be viewed on the iPhone at the grocery store without having to email it to yourself. In addition, these notes can be pinned to the desktop and act as sticky notes to help remind you to do tasks like actually go to the grocery store. Another feature on the iPad that is brought to the Mac is GameCenter. GameCenter allows you to get achievements and to compete with friends universally on the iPhone, and now it will be used in Mac App Store apps, too. While no apps currently use it, this feature has promise and will make playing games on my Mac even more fun! Gatekeeper is an interesting new feature that brings the Mac App Store closer to becoming a “walled garden”. This feature lets you choose if you want only applications from the Mac App Store to run, if you want only apps from the App Store and Apple recognized developers to run, or if you want every app to run. This feature moves closer to Apple’s goal of making the App Store a one stop shop for every Mac application, and makes the Mac more like the iPhone and iPad, where the only applications purchased through the App Store run. In addition to this option, Apple has gotten rid of the separate Software Update app, instead allowing users to download and install these updates from the Mac App Store, further moving every application download to the App Store. Apple included a new universal “Share” button to its list of updates for Mountain Lion. This button, accessible from nearly all native Mac OS X applications, allows you to quickly share anything you might have been working on as an email, a Message, or a Tweet. Twitter, in fact, has been integrated system wide, and you can receive Twitter notifications through the Notification Center. Airplay Mirroring allows you to easily stream your Mac’s desktop to your HDTV through an Apple TV. It’s great for watching iMovies and giving Keynote presentations, but it’s also just plain cool to use your TV as a screen for your laptop. Browsing the Internet or playing flash games on a huge screen is pretty addicting, and I was surprised I how much I find myself playing around with this feature. These updates aren’t the only features added in Mountain Lion; in fact, there are hundreds of minor changes that Apple made to the Mac experience, including adding a search bar in Launchpad, combining the search bar and the address bar in Safari, and making it easier to drag files between full screen apps. What are your thoughts on Mountain Lion?